Hi! Deep down do you wish you could have a loving life and family? For everyone to just get along and be kind to each other. Oh, I sure have. For this to happen we have to intentionally work to create peace and love. When I think of some of the greatest people who love deeply, I think of Moms. As a wife of nearly 25 years and Mom of 3 college aged kids, I’ve discovered Moms love deeply and are a great example for us all. Here are five ways we can grow in love. 1. Prepare for love. When a woman begins to consider becoming a mom, she immediately begins to prepare for it. She sees friends that have children and starts to imagine herself in that role. After she gets pregnant, preparing really heats up as she makes room in her body, announces the upcoming birth to family and friends, plans for doctors visits, etc. Each day she opens her heart to the idea of creating and loving another human being. 2. Give Birth to Love. In order to grow in love we need to be willing to give birth. Mothers intimately know the amazing miracle it is to give birth to her precious new baby. For us to love we must be willing to go through the pain of birth to receive a new life and love. 3. Raise up love. For love to grow we need to tend to it an mend it. From the time the child is born until they leave the nest mothers tend to millions of details to raise up loving children. A mother’s constant spirit reads emotions and heart strings like no other. For us to truly love we know we need to mirror love as a couple. It’s super important to continue to grow a relationship with our spouse and schedule date nights. I remember when my daughter Tina was five years old and she asked me, “Mommy are you going to be home after I come home from kindergarten today?” I told her, “Of course honey. ” She began to jump up-and-down and excitedly say, “Hip hip Hooray, today’s a Mommy Care day! “ It was at that moment that it struck me – she would remember what we did from this point forward. In 1999 our family started creating traditions that would build a foundation of love in our family. 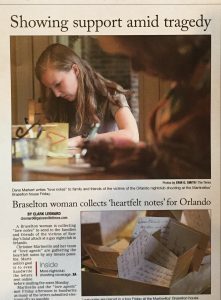 On of my favorites is ‘The Original Love Box’ tradition – which is writing love notes to everyone in our family and reading them aloud. This tradition gives us space to express heart-felt feelings and bond our family together in profound ways. We did & will continue to do the tradition every Christmas eve. We also do it for birthdays or before the kids go away, etc. What a huge blessing it has been for all of us! 4. Realize Love Fades & Dies (for a while). A dear friend named Peggy recently celebrated her 50th wedding anniversary. I asked her what her secret was and she said “Great love requires two great forgivers.” We are human and make mistakes. We must apologize over and over again for our failures and mend our relationships. When each of my children were in high school I knew it was time to begin letting you. When you love someone deeply you want what’s best for them and that means letting them go to follow the path God has for them. Graduations were marked with so many emotions including intense joy & celebrations. Then when we dropped each of our children off to college I felt heart broken and as if a piece of my heart was taken out. At the time the pain seemed overwhelming and the following weeks I felt like I was sinking in quicksand. I was so happy for them but sad for me. Then as each child started succeeding I realized we could create a new type of relationship and love. Love may fade for a time. Many beloved family members have passed away and some of our saddest times in life have been losing our loved ones. There are seasons to love and one of them is letting go. Ultimately, we realize that we can love forever in our memories. Death only ends our Earthly relationship. Our spirit and love lingers on. 5. Love lasts forever. We can continually grow in new love and new life despite challenges, death and deep loss. I remember tearing up when our children went off to kindergarten. Yet, I was also delighted because I got a few hours of freedom per day. Since the kids went off to college my hubby and I have a lot more time time to do new things. It has brought us great joy to rekindle our romance. We can focus on traveling, hobbies and our careers. For years I wondered “When is it going to be my time?” Now it is. 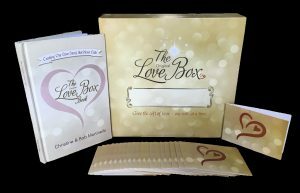 I now have the time and energy to promote more love in the world with educational programs and the Original Love Box tradition. We are taking all the love we used to pour into our family and share it with so many other people – at work and in or community. What an honor to watch love grow in unimaginable ways with thousands of families. As you can see a mothers love is immense and lasts from birth to letting go. Mothers are incredible role models for unconditional love. We hope that in the future (not too soon though) we will have grandchildren that we can love on too. Oh, the joy and more love that waits. Love grows and lasts forever! 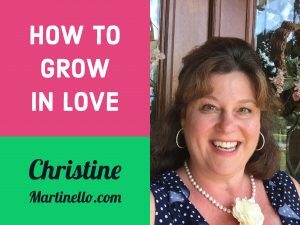 So, how do you grow in love? Let’s hear your comments below. 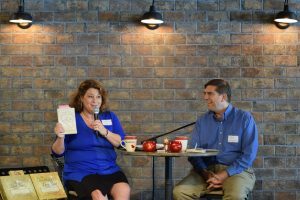 This entry was posted in Love and tagged 5 ways to love, family, grow in love, love, seasons of life on June 15, 2017 by Christine Martinello. We’re all in search of a happy life. What if you knew just what to do, to have a happy and successful life? Would you focus on it with all your time, money & energy? Probably. Do you think the secrets are; Having plenty of money, a happy marriage, experience, your dream career, being a philanthropist, having a strong work ethic, or being raised in a happy childhood? Some fascinating research reveals the secrets to a happy and successful life. The Harvard-Grant study was conducted for 75 years at a cost of over 20 million dollars to conduct. “Happiness is love. Full stop.” Vaillant says. Love means everything. A person can have plenty of money and luxuries, but if love is absent, they ultimately feel unfulfilled deep down inside. “Our relationships with other people matter, and matter more than anything else in the world,” writes Vaillant in a 2009 Positive Psychology News article. Your earliest relationships impact your long-term happeness, specifically the relationship you have with your mom. Business Insider highlights a connection to the fact that men who had “warm” childhood relationships with their mom we more likely to earn more money, have professional success and were less likely to develop dementia in their later years. We know healthy relationships set a foundation for overall life contentment but also career satisfaction. Vaillant says that having a meaningful connection to the type of work you’re doing is more important than achieving traditional success. This research confirms ancient wisdom. “Don’t underestimate the power of love, because it’s the key to happiness.” Vaillant writes. LOVE. Yes, we’re talking about loving relationships. Value & cherish love above all else. So, the next time you have a choice between going shopping for a little ‘retail therapy’ or indulging in other ‘escapism’ activities, take a moment to think of a new way to love. Ultimately, growing loving relationships and forgiving, will make you happier in the long run. How do you value & invest in love? Deep within each of us is a desire to love and to be loved. So, how are you expressing your love? Love can be expressed in a myriad of ways and when we share it, others feel more fulfilled. Think for a moment about these expressions of love; seeing the smile of a baby, feeling the caress of a loved one, sitting with a friend who listens attentively with her ears, eyes and heart, or sharing a meal with friends who truly understand us. One of the most precious ways I feel love over and over again is by reading small handwritten notes that contain the love of each of my family members. For the past 15 years family and friends have written notes back and forth at Christmas time and I have every single one of them tucked away in special places. Some are in my forever ‘Christmas Love Box’, some are tucked away in my top drawer of a desk and other treasured keepsakes sit amongst my most valuable gems in a jewelry box. Do you know what is awesome about these Love Notes? I can pull them out at any time and read heartfelt messages written by my husband, children, Mom, Dad, sister, and friends. I so enjoy finding the notes and reading them over and over again. Each time I read a note it transports me to another time and place and let’s me relive the spirit of love. The spirit of love is always here as close as a memory and a love note. This entry was posted in Love and tagged Christmas ideas, family love, grandmom, love, mom, tradition on August 19, 2015 by Christine Martinello.